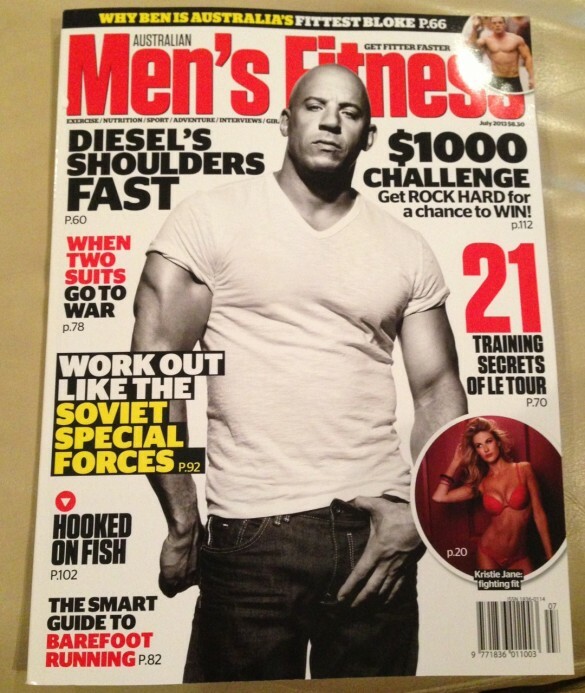 Home » JB in Men’s Fitness! Well, there’s a been a bit of a gap between events lately but that hasn’t stopped the good news for my team and sponsors. 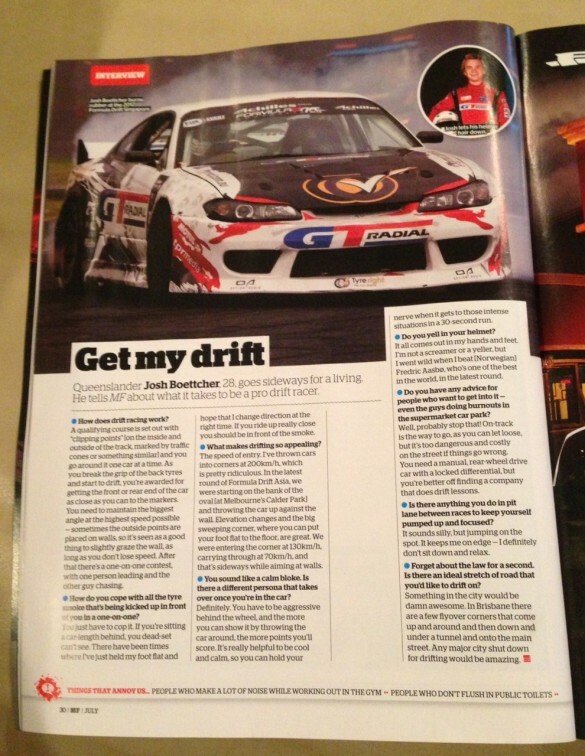 The latest issue of “Men’s Fitness” magazine has featured a great full page article about us, with a great photo from our latest event in Melbourne at Formula Drift Asia’s Australia round. Check out the pics of the article, or grab the latest copy at your nearest news agency. It’s a great accomplishment for us to be featured for the first time in a non-motoring, Australia-wide magazine (and an appropriate cover star as well)! You can be assured we’ve been working hard on the car before it heads over to Malaysia for us to take on round 2 of the Formula Drift Asia series on September 1. Now, after making plenty of noise with the rowdy new Fabulous Fabrication exhaust clad SR2.2 engine on the way to our podium finish in Melbourne we’ll be making even more noise with a wild new engine package this time round! Stay tuned for some crazy info on this latest developement!